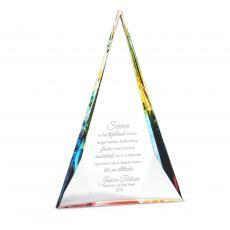 Celebrate a special milestone with this commemorative glass award. 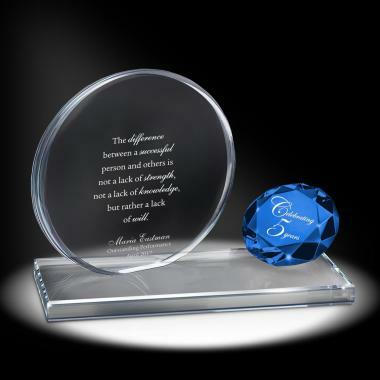 Each award features a glass circle sandcarved with the quote. The circle sits on a glass base that also holds a brilliant crystal gem. Gift boxed.